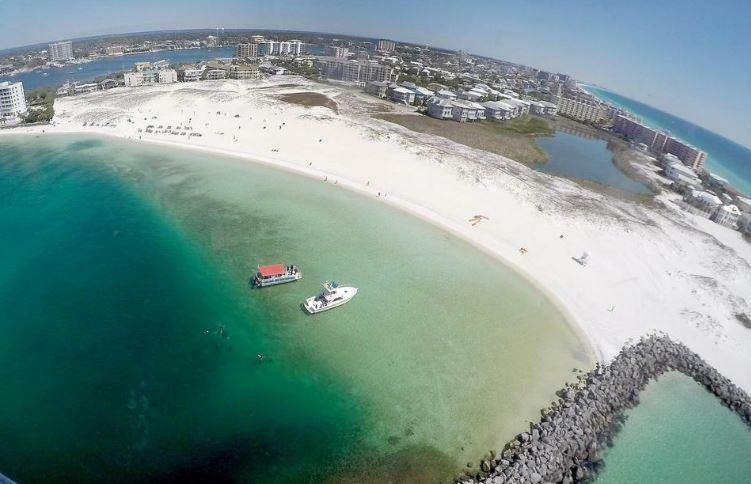 FLORIDA - It’s time for Destin and Okaloosa County to act on Holiday Isle beach access. On March 31, Daily News reporter Tom McLaughlin reported on the struggles faced by the public who want to enjoy the beaches along the Gulf of Mexico in that area, including the public’s 0.52-mile walk from the O’Steen beach access to the Gulf. To be clear, that walk entirely is in dry, sandy beach, so we aren’t talking about a leisurely stroll with your beach gear in tow. Unlike the majority of beaches near the Calhoun public beach access and June Decker Park — two accesses that are roughly 100 feet apart and separated by a private beach — nearly all of Holiday Isle is open to the public. The problem is access. The area around the east jetty was nourished using public funds. From East Pass, moving eastward, there are plenty of renourished beaches. But between the east jetty to the Calhoun access, which sit about three miles apart if you walk down the shoreline, there are zero public beach accesses. That includes almost all of the hard-to-reach beaches of Holiday Isle. If the public is going to pay to keep those beaches viable — and keep those property values high — they should also have reasonable access to use them. We get a lot of mail in the Daily News newsroom, and since Mary Beth Jackson was removed from her office as Okaloosa County schools superintendent, one type of mail has seen an unexpected spike. It has no return address, and often the letter inside and the Daily News address on the front are typed. Generally, the letters are talking about a teacher, coach, student or administrator that is a danger to our children. They’re never signed. Usually these letters go nowhere. And it’s not because the information inside them isn’t true or that we don’t look into what’s being said. It’s because, generally, a key piece of information is missing, and we don’t know who to talk to in order to get it. If you aren’t comfortable telling us who you are, send your correspondence via email. You can remain anonymous, but at least if you contact us electronically we have a way to respond. Jason Blakeney is the executive editor of the Northwest Florida Daily News. You can reach him at jblakeney@nwfdailynews.com or 315-4404.